5 Ways to Help Your Heart! Given that February is Heart Health Month, I thought it was a great time to talk about ways women can be good to their hearts. 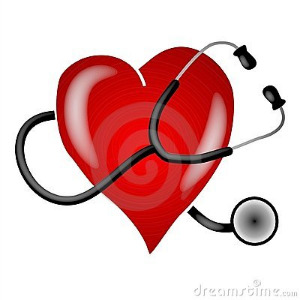 Did you know...it's estimated that 80%of heart disease and stroke events are preventable? And that heart disease is the #1 killer of women? But there's a lot you can do to keep your heart strong and healthy. Here are a few ways you can make a big difference in preventing heart disease for yourself! 1. Move more. The good news is you don’t have to train for a marathon to get your heart in shape. The American Heart Association recommends 30 minutes of walking daily for a healthy heart. It doesn’t have to be walking, but any activity that gets you moving, your heart pumping and your blood circulating. For many of the women I work with, having a buddy (or buddies) helps them stay motivated. Whether that’s a walking partner, taking an exercise class with friends or talking to a friend on the phone while exercising, the connection time is important for many women. If you’re someone who avoids the gym at all cost, there are some great DVDs for indoor walking and aerobic exercise. This is one example I recommend to clients. Keep in mind some types of yard work, heavy gardening and housecleaning can count toward your activity time as well. Other options include walking your dog or a neighbor’s dog, taking a walk with your child or signing up for a dance class. Choosing activities you enjoy increases the odds you will continue after the first few weeks. 2. Check your blood pressure. High blood pressure is a major risk factor for heart disease and stroke. Keeping blood pressure in a healthy range helps decrease the strain on the heart and arteries, keeping them healthy longer. Losing weight, lowering sodium intake and taking medication when recommended by your doctor can all help to keep blood pressure in a healthy range. 3. Check your cholesterol. Cholesterol occurs naturally in our bodies, but when it gets out of balance, it can lead to heart disease, heart attack and stroke. When there is too much LDL-cholesterol in the blood, it combines with white blood cells and forms plaque in the blood vessels. As women approach menopause, cholesterol will sometimes increase as hormones change. I encourage my clients to keep records of previous cholesterol measurements, so they can take action early and make lifestyle changes if cholesterol starts to rise. When cholesterol is controlled, your blood vessels have a better chance of staying clear, avoiding blockages that lead to heart disease, heart attack and stroke. Exercising, not smoking and eating a heart-healthy diet make a big impact on lowering cholesterol. Research shows many health benefits to laughter. Physiologically our bodies change when we laugh, helping to relieve stress, decrease blood pressure and send more oxygen to our tissues and heart—it’s like a mini workout. “The effects of laughter and exercise are very similar,” says Steve Wilson, MA, CSP, a psychologist and laugh therapist. 5. Talk with a Registered Dietitian Nutritionist (RDN). Instead of another fad-diet, learn the best heart health plan for you. It may include an individualized weight loss plan or specific information about foods rich in soluble fiber, antioxidants and healthy fats your body needs to keep your heart strong and healthy. A nutritionist will help create an individualized, healthy eating plan that includes realistic, practical choices and habits you can maintain long term.